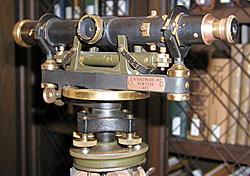 Click on the thumbnail for a larger view of the instrument. 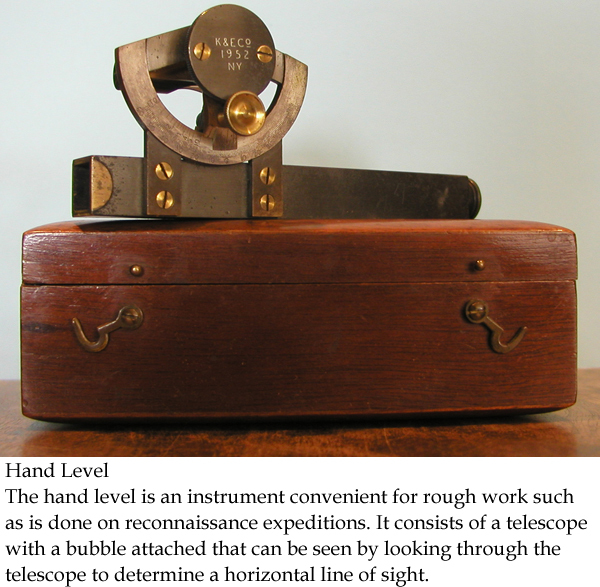 The hand level is an instrument convenient for rough work such as is done on reconnaissance expeditions. 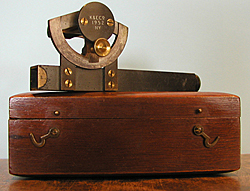 A wye level is a compass supplied with a telescope used for measuring both horizontal and vertical angles. 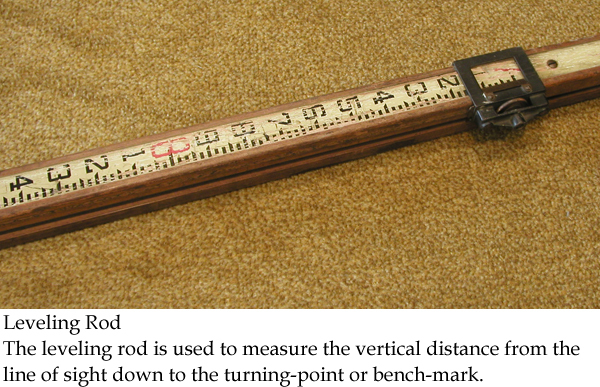 The leveling rod is used to measure the vertical distance from the line of sight down to the turning-point or bench-mark. 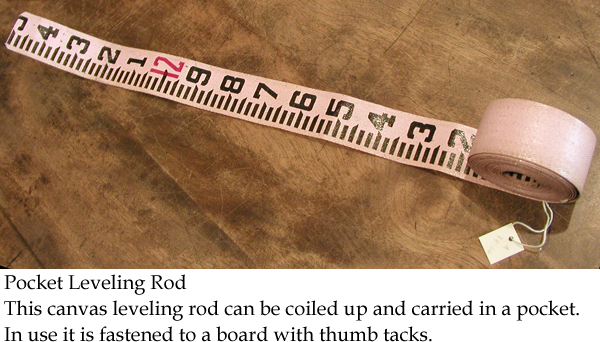 This canvas leveling rod can be coiled up and carried in a pocket. 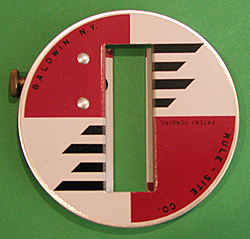 In use it is fastened to a board with thumb tacks. 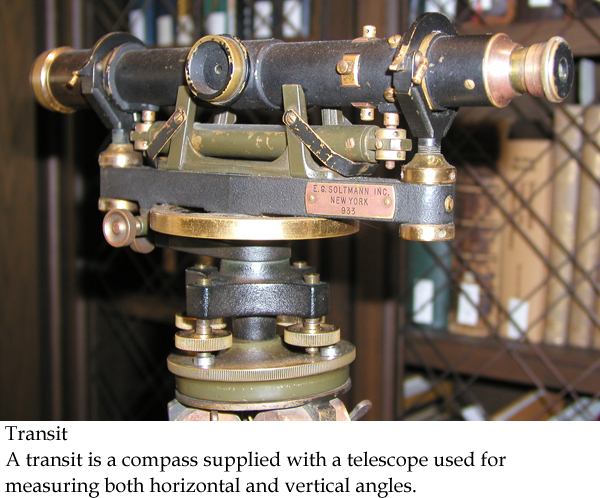 The target is moved by the rodman in response to signals from the observer until it accurately coincides with the line of sight. 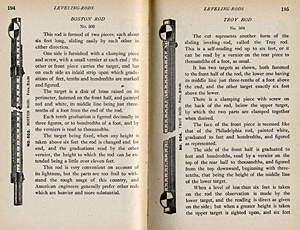 Click on the thumbnail for a larger view of the book. 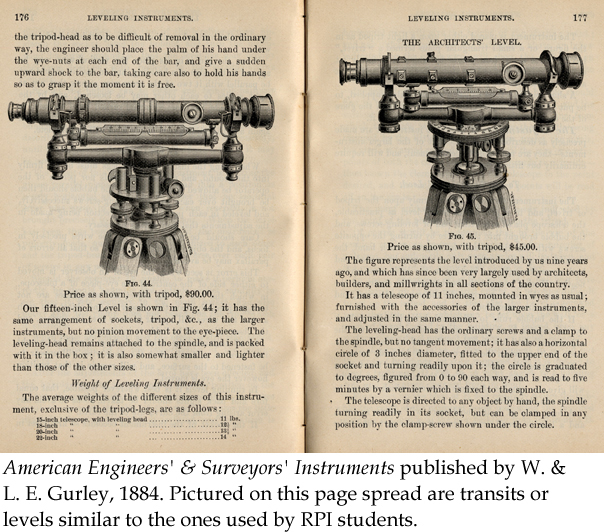 American Engineers' & Surveyors' Instruments published by W. & L. E. Gurley, 1884. 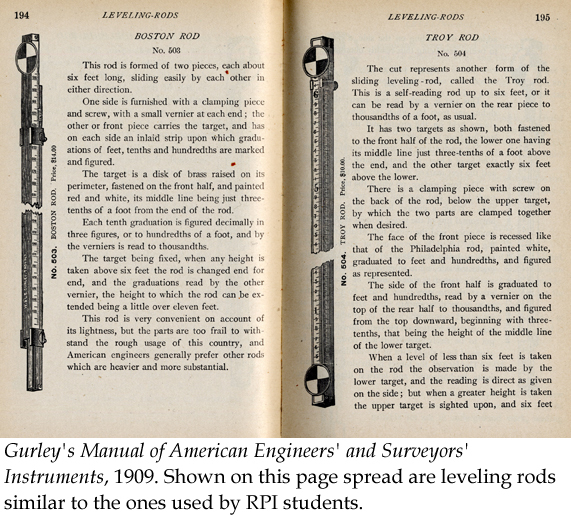 Pictured on this page spread are transits or levels similar to the ones used by RPI students. 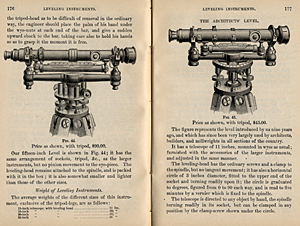 Gurley's Manual of American Engineers' and Surveyors' Instruments, 1909. 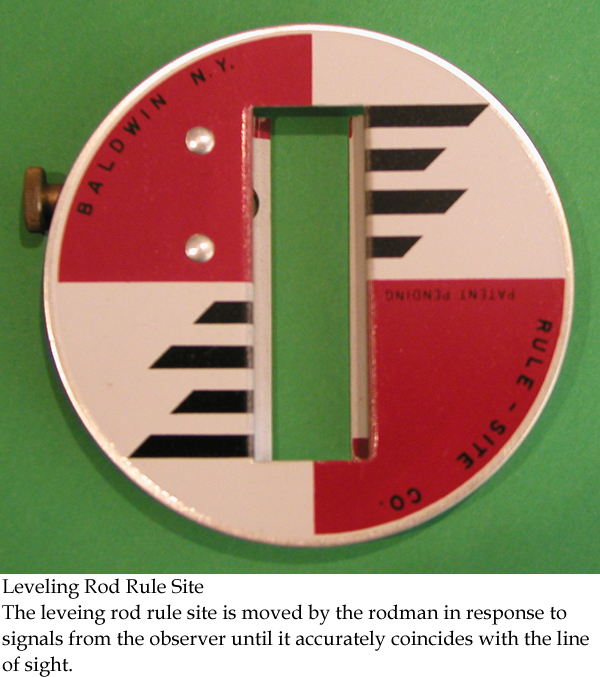 Shown on this page spread are leveling rods similar to the ones used by RPI students.